Only in Trumpland can Gary Cohn be considered a suitable Federal Reserve chairman. The former Goldman Sachs president and current White House adviser has been tipped as top contender to replace Janet Yellen, Politico reported. Though not a trained economist, Cohn’s years in finance put him ahead of other Donald Trump cabinet picks notably lacking relevant résumés. But a Wall Street trader’s temperament makes a bad match for the staid central-bank job. The registered New York Democrat didn’t have a government background when he became director of the National Economic Council. Still, he had honed his finance skills during more than 25 years at Goldman and he quickly hired White House staff with complementary experience. His operation contrasted with those of cabinet members like Education Secretary Betsy DeVos, who struggled to answer basic questions about school curriculums in her confirmation hearing. Choosing Cohn as head of the central bank would be an unconventional pick. Over the last 40 years, Fed chairs have been economists and have also served at least two four-year terms. Yellen will have only served one if Trump does not renominate her. The last one-term, non-economist Fed chair was William Miller, who had been CEO of Textron before President Jimmy Carter tapped him. Amid high inflation, his policies tanked the U.S. dollar and he lasted just over a year. Cohn spent much of his time at Goldman as a trader. He joined its J. Aron commodities unit and became head of the divisions for fixed income, equities and global securities before becoming president. Goldman is known as the most alpha of the investment banks and the hard-charging job fit Cohn’s personality. Running the central bank is a more sedate affair. The staff consists of number crunchers with doctorate degrees in economics who pore over various models to analyze growth and employment. Press conferences after meetings by the interest-rate-setting committee are carefully scripted. Yellen, like her forebears, chooses her words carefully knowing any hint of surprise can rattle markets. Her predecessor, Ben Bernanke, learned that in 2013 when he said the central bank would no longer be purchasing bonds, causing U.S. Treasury yields to surge in what became known as the “taper tantrum.” Blunt talker Cohn may find such restrictions suffocating. Markets will prefer a more boring choice. U.S. National Economic Director Gary Cohn discusses the Trump administration's tax reform proposal in the White House briefing room in Washington, U.S, April 26, 2017. 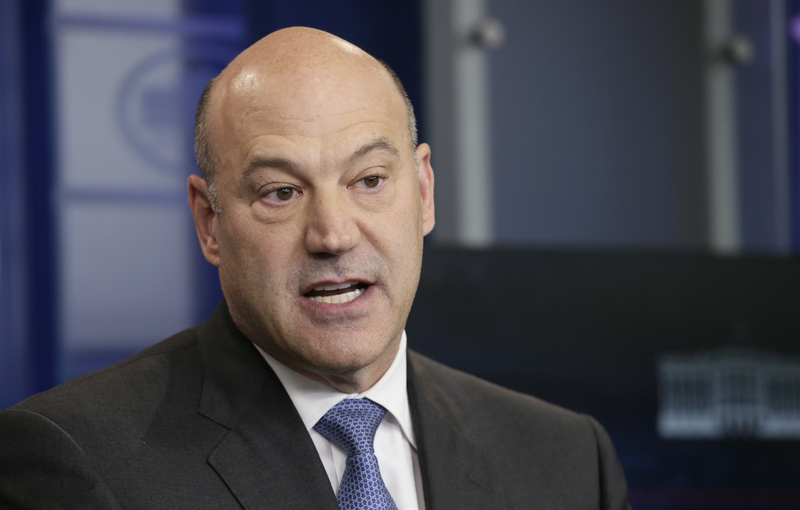 Former Goldman Sachs President Gary Cohn, who is director of the White House National Economic Council, has emerged as the top candidate to replace Federal Reserve Chair Janet Yellen, Politico reported on July 11. Yellen’s term as chair expires in February 2018, though her term as a Fed board member doesn’t end until 2024. In recent history, most Fed chairs have served at least two four-year terms. If Cohn was nominated, he would be the first Fed chair who isn’t an economist in about 40 years. The last was William Miller, who served under President Jimmy Carter and held the job for just over a year.